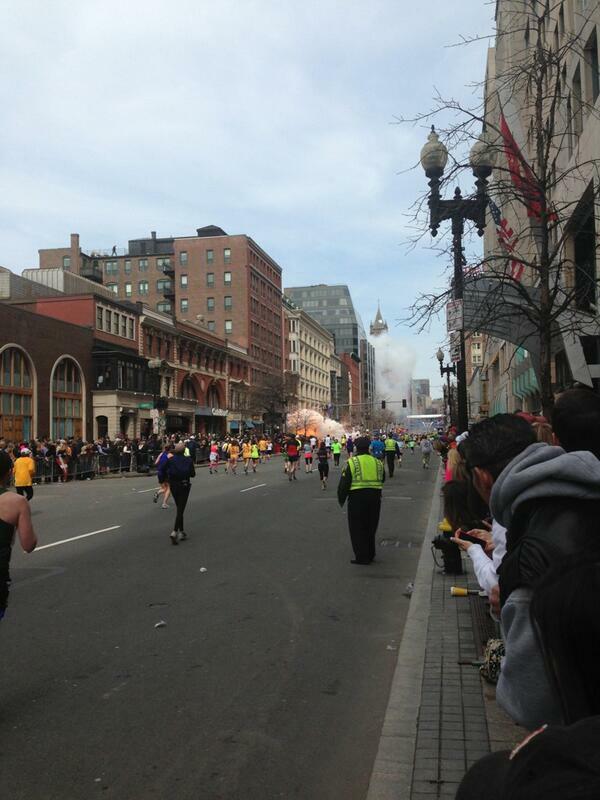 Boston Marathon 2013 has ended in bombing or bomb explosions, with at least 3 people dead. Raw video and photos of the explosion have went viral. 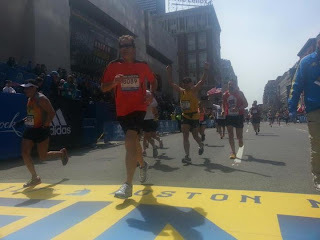 The Boston Marathon, which is an annual marathon event held every 3rd Monday in Boston, Massachusetts, has turned into tragedy when 2 bombs exploded near the finish line. killed, and over 140 were injured. his father to finish the race. 9 children are also reported as among those injured, who also included those runners who only joined the marathon but finished losing their legs. As police hunt for suspect or suspects on the 2013 Boston Marathon Explosion, a photo of a mystery man on roof near the explosion is circulating online and it could possibly help the police in their investigation. The viral picture above showing a mystery man on roof near the Boston Marathon explosion was originally posted on Twitter by Dan Lampariello (@Boston_to_a_T), New England Cable News (NECN)'s student reporter who was only there to cover the event. Meanwhile, raw videos of the first and second explosions are also circulating on the internet, and probably the most viral and most-shared of all is the great video by The Boston Globe sports writer Steve Silva (@stevesilva), who was also covering the results of the marathon. Let's all take a moment to pray for the victims of the bombing. The Boston Marathon 2013 was supposed to be held in honor of the Newtown, Connecticut shooting victims, who were mostly children. But the marathon also ended in tragedy.